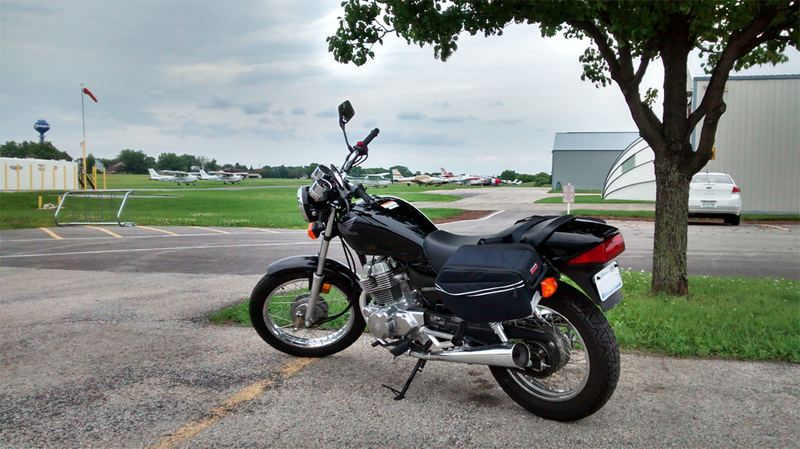 I took a wrong turn at Albuquerque (or Bolingbrook, actually), and wound up at an airfield I never knew existed. Although, I think by now we’ve established that there are many places nearby that I never knew existed. Things have a way of hiding in plain sight, don’t they? 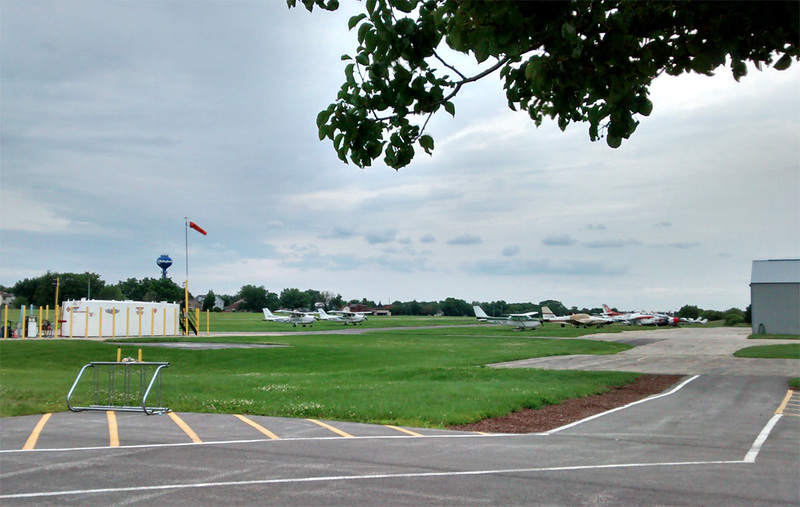 Bolingbrook’s Clow International Airport was originally built in the 1950s by Oliver Boyd Clow as a private airfield. After some expansion, it became a commercial airport in 1973, and in 2004 ownership was turned over to the Village of Bolingbrook. It was threatening to rain when I pulled in, and I really had taken a wrong turn, so I didn’t have much time to stick around. However, I’ll definitely be taking a trip back because this airfield is home to the Illinois Aviation Museum and Charlie’s restaurant. I’m not sure who Charlie is, but his pancakes look delicious. In June, they host a special event called the Cavalcade of Planes. I want to go simply because “cavalcade” is such a cool word. Cavalcade. Cavalcade. CAVALCADE! :p Aside from the linguistic appeal, it looks like a really fun time judging from the video below. I’m sad that I didn’t find out about it beforehand–now I have to wait a whole year before I can see it! I’ll have to take the bike out there, for sure, because that parking lot is tiny.